Busmopolitan Blog. Essex and District Bus and Rail Newspage – August 2014. The main news this month, is of significant retrenchment by Hedingham. Since its acquisition by Go-Ahead in March 2012, Hedingham has reviewed its business strategy, and now all “loss making” activities are being jettisoned. A total of 27 services were de-registered at the end of August; mostly council subsidised, but also 3 commercial routes, along with one commercial service from the associated Chambers fleet. It appears that Hedingham and Chambers’ future goal is to eventually focus on commercial local bus routes only. First and Stephensons have taken on many of the ex Hedingham services. On the railway scene, the first of the new Class 68 diesel locos has appeared in the area (with Direct Rail Services), while a number of Freightliner Class 66s have been inter loaned between Heavy Haul and Intermodal. A class 70 and two ’66s have also been hired from Colas ! (Although Busmopolitan Blog focuses mainly on passenger trains, any interesting goods train activity will be noted !). Above: In unbranded National Express colours, DVT 82107 calls at Colchester on a Norwich bound service in December 2011; two months before Abellio took over the ‘Anglia’ rail franchise. Repainted into the new livery are loco 90010 (from ONE), DVT 82107 (from National Express); 82118 (from ONE); EMUs 315825/30, 317655/8, 317708/29 and MkIII carriages 10228, 11082/8, 12019, 12116/8/29/47. For the Ambus fleet is Dart SLF/Caetano Nimbus HV52 WTG – ex KJB of South Hykenham, Lincolnshire. Bova Futura WA54 HXZ is now with PPH of St Albans. Scania K114/Irizar YR02 ZYV is now with Mulleys of Ixworth, Suffolk. Above: The old order on TfL route 66. ADL/Enviro 400 no 4068 at Newbury Park amidst an April shower in 2012. From 30/8/14, TfL66 (Romford-Leytonstone) was converted to double deck, using ex Arriva London North VDL DB300L/Wright Geminis DW201-212, which now have provincial fleet numbers 6201-12. Registrations are LJ09 KRO, SUO/U/V/X/Y, SVA/C/D/E/F, SSO. They had previously worked from Clapton. ADL/Enviro 200s 4071/2/5 (GN10 KWH/J, YX10 EBO) have gone to store at Southend depot. Above: Arriva Southend Optare Versa no 4253, at London Road, Westcliff in August 2013. Received from Arriva Medway Towns is Optare Versa 4226 (KX62 JPJ). Dart SLF/Plaxton Pointer 3073 (P273 FPK), has returned to Medway Towns, off loan. SLF/Pointers 3277/80/9 (T277 JKM etc), now have led destinations – ex roller blinds. Received from Arriva London South is ADL/Enviro 200 ENL10 (LJ58 AVT). It is allocated to Barking (DX). Neoplan Skyliner A105 MWT, is ex Huyton Minicoaches of Widnes. LJ60 MKP is a Fiat Ducato 16 seater, ex Cobra of Guildford. Above: Blue Triangle Trident/President PVN12 at Barking, on London Underground District Line replacement, in October 2013. Above: Blue Triangle B7TL/President PVN17, working “on loan” to Docklands Buses, at Cyprus in May 2014. Volvo B7TL/Plaxton President PVL97 (W497 WGH) has passed to Ensign. Sold to Rossendale Transport (Rosso), via Ensign are Volvo B7TL/Plaxton Presidents PVN11/2/6/7 (LK03 NJJ/N/Z, NKA). Ensign has resold B7TL/President LK03 NJE to Stanley Travel in County Durham. Above: Ex PVN17 awaiting collection from Ensign by Rosso, on 30/8/14. The depot has moved from Crays Hill to East Tilbury. Via Ensign is Volvo Olympian/NC P915 RYO. It had previously been with Classic Bus North West of Blackpool. Received from Plymouth CityBus is Volvo B7TL/Plaxton President 1450 (X507 EGK). Dennis Trident/EL 726 (W826 NNJ) has gone back to Hedingham. 727 (W827 NNJ) has also moved to Hedingham. Optare Solo 907 (YT51 EBF) has come from Hedingham. Commercial service X16 (Chappel-Bury St Edmunds) – Weds only, ceased after 27/8/14. Most of the Class 08/09 shunter fleet has been “withdrawn” and replaced by Class 60 and 66 diesel main line locomotives from a “shunter pool”. In practice though some shunters remain active. This includes 09017 at Dagenham Dock. Some ’66s were used on yard duties at Dagenham during 2013; while the ’09 was under repair. DRS – DIRECT RAIL SERVICES. Above: 68004 at Norwich Thorpe station on 16/8/14. 68004 was outbased at Norwich during August; the first of this new generation diesel to appear in the area. Later in the month, it was replaced by 68009. Former Easylink Volvo B7TL/Plaxton President VP5 (X154 FBB), latterly with London Central, has passed to Ensign. An interesting fleet addition is ex Metroline Dennis Trident/Alexander ALX400 599 (T199 CLO). This has been “retro converted” to a hybrid, and will eventually undergo in service trials. The 99 Tilbury Town Circular, has a “new” bus; ex Lloyds of Bagilt “short” ADL/Enviro 200 650 (DK09 OBH). It’s predecessor, “short” Dart SLF/Alexander ALX200 649 (Y249 FJN) is withdrawn. Dennis Dart SLF/MCV 785 (AE55 EHM) is delicenced. Volvo B10A/Plaxton Expressliner 401 (P671 LWB) has returned from Swallow of Rainham, off loan. Dennis Trident/Plaxton President TN32963 (X963 HLT) has been cannibalised by Ensign. Above: In it’s First Centrewest heyday, TN32963 at Paddington in March 2002. Above: First Essex SLF 42932, one of those moved from Chelmsford to Braintree, for new Essex CC local bus contracts, at Braintree Bus Park on 30/8/14. Received from First Eastern Counties are Dart SLF/Plaxton Pointer 43489 (R689 DPW) and Volvo B7RLE/Wrights 69532/3 (PL05 UBR/S). 43489 is at Clacton, and has replaced the last of the ADL/E200s cdestined for FEC – 44516 (YX09 ACV). 69532/3 are at Chelmsford. Transferred to First Eastern Counties are Volvo B7RLE/Wrights 66985/6 (KX05 MHO/U). Repainted into the ‘Refreshed’ livery are Optare Solo 53127 (EO02 NFJ); Volvo B10BLE/Wright 66165 (W365 EOW); Volvo B7RLE/Wrights 66817 (MX05 CDZ), 66979 (KX05 MHF). Upon repaint, Chelmsford based vehicles are now getting ‘Essex’ instead of ‘Chelmsford City’ fleet names. Internal transfers, connected with service changes from 31/8/14 are SLF/Pointers 42483/5 (SN03 WLK, WMM) from BE to CF; 42931/2 (SN05 EAO/P) from CF to BE. In the early hours of 23/8/14, B10BLE/Wright 66177 (W377 EOW) was stolen from Magdalen Street yard, Colchester and found abandoned 2 miles away. Scania L113/Wright 65574 (S574 TPW) was also damaged in the incident. Then, in the late evening of the 23rd, Scania L94UB/Wright Solar 65682 (YR52 VEP), was taken from the Haven Road site in Colchester; and found abandoned a few hundred yards away. All the above have been repaired. Dart SLF/Marshall 41239 (S239 KLM) has gone to Alpha for scrap. On the ancillary vehicle front, new Vauxhall Zafira FG14 WUV (pictured below), has replaced Bluebird yellow school bus 68000 (Q275 LBA), as Braintree crew ferry. Repainted into fleet colours is SLF/Pointer W138 ULR – from Imperial Bus Co green. Volvo Olympian/Alexander RL R141 EVX is now in a livery of Coaches Etc base colours with ‘Flagfinders’ fleet names. Volvo Citybus D10M/EL G659 DTJ, is now a caravan in Cornwall. Above: Freightliner Intermodal 70009, at Ipswich in December 2011. On loan from Heavy Haul to Intermodal, have been 66509/26/9/95-99. These have not all been hired at once. Three locos have also been hired from Colas (70803) and two Class 66s; for extra capacity – caused by engineering blockades at Watford and on the GE Main Line between Ipswich and Norwich. This is due to continue until the end of September. 66416 is now in ‘Powerhaul’ colurs, ex DRS. Other DRS liveried ’66s here have been repainted blue; 66413/4/8/20. Above: DRS Blue liveried 66420 heads the 4M94 Felixstowe-Birmingham Lawley Street ‘Freightliner’ through Kelvedon, in March 2012. Dennis Dart SLF/UVG 188 (1440 PP) has been re-registered back to its original R558 UOT; prior to sale. Above: Hedingham SLF/MPD L334 at Wickford; the southernmost point to be served by this operator, on route 15 in March 2013. On loan from Chambers in mid August was Volvo B7TL/Plaxton President 572 (W506 WGH). Withdrawn and cannibalised is Volvo Olympian/NC Countybus 68 (P606 CAY). Also withdrawn is Dart SLF/Plaxton Pointer 250 (W312 CJN). 1 (Ashen-Sudbury) – Thu only (a former Jennings service). To Stephensons. 5 (Sible Hedingham-Sudbury) – Thu only. To Community Link. 8 (Clacton-Walton) – evenings only. To First Essex. 8 (Toppesfield-Haverhill) – Fri only. To Stephensons. 9 (Great Holland-Walton) – Tu, Thu, Fri only. To First Essex. 10 (Braintree-Cornish Hall End) – Weds only. To Stephensons. 14/15/A (Chelmsford-Wickford) – M-Sat. To First Essex. 15 (Colchester North Station-Lexden) – M-F peaks. To First Essex. 17 (Great Bardfield-Saffron Walden) – Tu, Fri, Sat only. To Community Link, on 6 month trial. 17/18 (Clacton-Point Clear) – evenings only. To First Essex. 21 (Bocking-Braintree-Black Notley) – M-Sat evenings only. To First Essex. 23 (Braintree-Steeple Bumpstead) – Weds only. To Stephensons. 37 (South Woodham town service) – M-F. To Amber. 59 (Haverhill-Clavering) – M-Sat. To Stephensons. 74B (Clacton-Colchester) – evenings, Suns and hols. To First Essex. 76 (Clacton-Colchester) – evenings, Suns and hols. To First Essex. 83/A (Colchester-Colne Engaine/Mount Bures). To First Essex. 85 (Mistley-Brightlingsea) – Weds only. Withdrawn. 86 (Aingers Green-Colchester) – Weds only. Withdrawn. 89B (Halstead-Haverhill) – M-F. To Stephensons. 103 (Ramsey-Harwich) – schooldays only. To Panther Travel. 176 (East Mersea-Colchester Highwoods) – Mons only. To Stephensons. 318 (Thaxted-Bishops Stortford) – Thu only. To Viceroy. 323 (Greenstead Green-Sudbury) – Thu only. To De Vere Travel. 352 (Chelmsford-Braintree-Halstead) – M-Sat evenings only. To First Essex. 3 (Colchester-Hythe) – M-F. Withdrawn. Replaced by a re-routing of part of Network Colchester service 105. 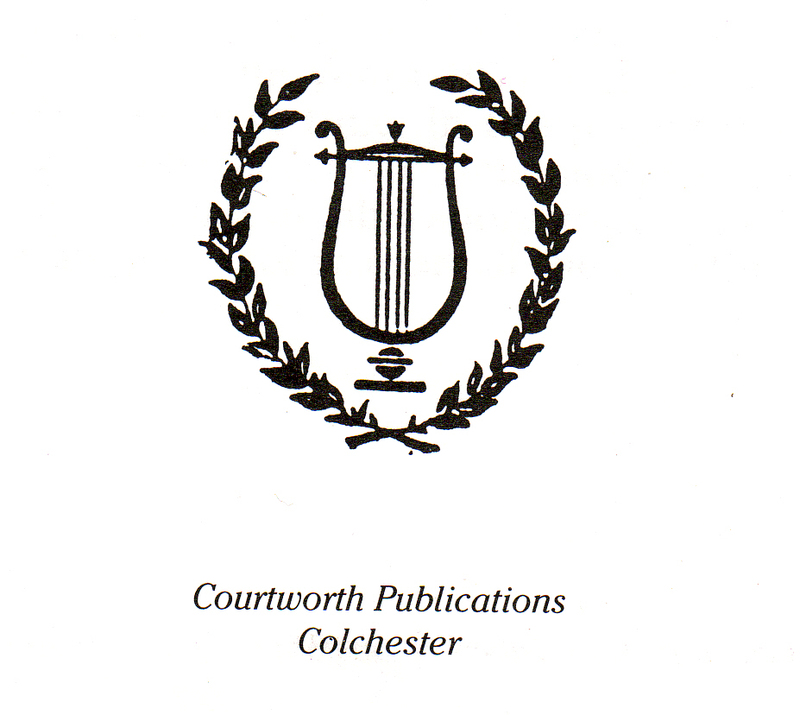 4 (Colchester-Tollgate) – M-F. To Network Colchester. 80 (Boxted-Colchester-Fordham) – M-F. To Stephensons. Above: Hedingham SLF/Pointer L339 descends East Hill, Colchester on service 3 in July 2005. Above: Hedingham ADL/Enviro 200 L380 on route 4, at Southway, Colchester in September 2011. Above: Hedingham Dennis Trident 729, on the 80 at Head Street, Colchester in October 2013. A double decker was used in term time, as the 80 interworked with a Stanway School service. Above: Hedingham ADL/Enviro 400 615 (EU07 GVY) departs Colchester North Station, on the penultimate evening of 74B operation. The Essex school bus base, has moved from East Tilbury to Grays. The old location, (at the Bata Business Centre) was occupied by Dart SLF/EL Spryte P989 AFV and Browns of Basildon Leyland Olympian/Alexander RH J849 TSC, during August. Scania K94/VH E20 DGE has passed to Weavaway of Newbury. C77 stock driving motor car 5720 has been donated to the Plumcroft Primary School at Plumstead; for static use. M and E COACHLINES, ROCHFORD. Above: M and E Bristol VRT/ECW FKM 875V, at Leigh on Sea in September 2004. ECW bodied Leyland Olympian C205 GTU, has been sold for scrap. Also sold is Leyland Olympian/ECW “Big Bertha” coach HSB 312Y. Setra S315 W252 UGX, has come from Ashford Minibuses in Kent. Sold are Iveco 59-12Marshall P713 MLD and Optare Solo M850 YJ06 FYF. Has new Scania K410EB6/Caetano Levante tri-axle coaches SH177-183 (BK14 LFR/S/T/U/V/W/X). Above: Network Colchester Omnidekka 5373, seen at St Osyth in March 2009, on the 660 school service from Point Clear to Bishops Park College, which subsequently passed to First. At the time of this picture, the old fleet no 102 was still carried, along with now removed route branding and old style ‘NC’ fleet names. Ex Classic of Annfield Plain are Dart SLF/Caetano Nimbuses 1564/5 (HX04 HUH/K), 1562/3 (RX07 KPG/J). 1562 is currently on loan to New Enterprise at Tonbridge. Scania Omnidekka 5373 (YN06 TDZ) is back in use, ex long term VOR. Crew ferry LDV Convoy minibus AE53 KVB has been on loan from Network Harlow. Fire damaged Volvo B6BLE/Wright Cadet 3255 (V255 HBH) has gone for scrap. Above: B6BLE no 3257 at Harlow Bus Station in March 2012. A sister to the now withdrawn 3255, only 5 out out of the original batch of 8 of these buses are now left. Above: When still in Cedric’s ownership, Volvo Olympian R549 LGH at Ardleigh depot in February 2013; with Leyland Olympian G285 UMJ. Now in NHT livery are Volvo Olympian/NC R549 LGH, (ex yellow) and Dennis Tridents T97, 118/20 KLD, X331 HLL – all ex Cedric’s. Cannibalised all Leyland Olympian K815 HMV has gone for scrap. Withdrawn are Dart SLF/Pointer 206 (P741 RYL) and Mini Pointer SLFs V195 ERG, Y153 NLK. Ex Hedingham Optare Excels R835 FNG and V203 ENU were parked at the Parkeston yard during August. Meanwhile, one time Hedingham Mini Pointer Dart SLF X346 YGU is now in the operational fleet; re-registered to BIG 9856. Volvo B12T/Plaxton Panther SF07 YTP is now AB07 PAN. The remnants of various long disused infrastructure, can still be found along the London end of the Great Eastern Main Line. These include (heading from Essex); the siding at the “factory” at Gidea Park – opposite the EMU stabling point; the disconnected non electrified loop between the fast and slow lines, to the west of Romford Station; extensive remains of tracks around the old Goodmayes goods yard – stretching from Chadwell Heath to Seven Kings; traces of trackbed linking to the old Bishopsgate High Level; the platform of the old Bishopsgate Low Level station. Meanwhile, the sand yard at Mile End has been partitioned off for some form of civil engineering. Above: East London Dennis Trident 17001 at the 2009 Canvey Museum Open Day; when under Macquarie ownership. Pioneer Dennis Trident/Alexander ALX400 17001/TA1 (S801 BWC) has been withdrawn from normal service, and will be retained as a “heritage” vehicle. It has been placed on long term loan to the London Bus Museum at Brooklands, Surrey. Newer Trident 17524 (LX51 FOM) has been presented to the Glasgow Vintage Vehicles Trust, in thanks for it’s help in accommodating buses used for the Commonwealth Games. More new hybrid ADL/Enviro 400s at Bow (BW) are 12328-33 (SL14 LNU/V/W/X/Y/Z). From Selkent is ADL/Enviro 400 19834 (LX11 BMY) – joining others at Rainham (RM). Scania Omnicities 15121/2/3 (LX09 FZT/U/V) have gone to Selkent. Trident 17756 (LX03 BUA) has moved BW to Romford (NS). 17757 (LX03 BUE) BW to West Ham (WH). Withdrawn are Tridents 17451 (LX51 FKR), 17523/54 (LX51 FOD, LY02 OBF). Trident 16071 (T671 KPU), latterly with Brighton and Hove, has been resold via Ensign to Wheelers Travel of Southampton. Above: Stephensons Dart SLF/Plaxton Pointer no 459, on the 75S at Tiptree on 14/8/14. The roadworks neccessitating this shuttle, can be seen in the left background. From 16/8/14, the 75S Tiptree circular was subbed to Arrow Taxis of Maldon. Run due to a road closure caused by drainage works, this free shuttle ran until 31/8/14. AEC Routemaster FPT 590C and Metrobus KYV 633X have been sold to Ensign. Leyland Olympian/NCs 864/9 (J564/9 HAT) are now with MacPherson of Donisthorpe, Leicestershire, while Volvo Olympian/Alexander RH 953 (L953 MSC) has passed to a school in Maldon for non pcv use. MAN 18.350/Noge YN54 JSZ and Iveco Eurorider Beaulas YN07 EBS, have passed to a dealer. Acquired via Ensign are former Bus Eirean ex Pennine of Gargrave Dart SLF/Pointers W943/7/8 ETW, and ex London Central Volvo B7TL/Plaxton Presidents X158/9 FBB. These are for new local bus routes in the Harlow and Loughton areas; to commence in September. New is Scania/Sunsundegui tri-axle coach BL14 LSX. Above: Trustybus SLF/Pointer SPD1 (SNZ 7529) at Broxbourne on Abellio Greater Anglia rail replacement in November 2013. Keeping it company is Regal Busways MAN NL270F/Wright no 801 (RG09 BUS). Acquired via Ensign for the Galleon Travel fleet are ex Metroline Dennis Trident/Plaxton Presidents LK03 CEV, GCF, GJZ, GKA/C. SLF/Pointers SHZ 2046, SHZ 2691 are numbered PDS32, 33. Withdrawn are Dart SLF/Pointers SPD5 (SNZ 4016) and S91 EGK. Sold to Ensign are Dart SLF/”super” ALX200 AD21 (FXZ 2175) and Dart SLF/Plaxton Super Pointer SPD1 (SNZ 7259). Previously disposed SLF/Super Pointer SPD8 (SNZ 3869) is being cannibalised by Ensign. Dennis Trident/Plaxton President W556 RSG is now with London Bus Group, Ruislip. Optare Solo M920 YJ55 BLV is from Courtney of Bracknell. Former Stagecoach Busways Volvo Olympian/Alexander RL N703 LTN, has been acquired from Watts of Bonvilston, Wales.